Magalies Wild Game Farm is situated in the Magaliesburg Nature Reserve/Biosphere, where bird life is abundant. 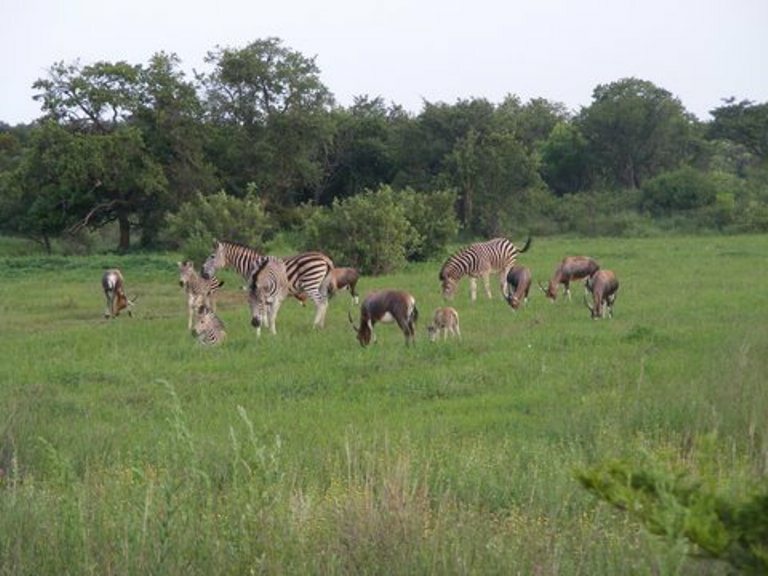 Game on the farm includes kudu, blesbok, impala, zebra and ostriches. Grey duikers, warthogs, as well as night prowlers such as porcupines, honey badgers, servile cats and jackals can also be seen from time to time. The fully self-catering accommodation on the farm is in the form of Loerie Cottage - a luxury cottage that sleeps six to eight people in two en-suite bedrooms and a loft with a fold down couch plus two stretcher beds. The cottage has full DSTV and a boma with braai. Sunflower Huts - sleeps four in two wooden cabins featuring its own kitchen and bathroom facilities all under one roof. The camp is a wonderful outdoor experience and is fenced. There is a special doggie yard complete with s splash pool for them to enjoy a dip. Leopard Bush Camp - sleeps four to six people and is a real bush experience, located off the grid, so there is no electricity. Solar powered lights, a gas stove and geyser and a lovely boma area for a night under the stars with a fire to keep warm. There is a special doggie yard complete with s splash pool for them to enjoy a dip. 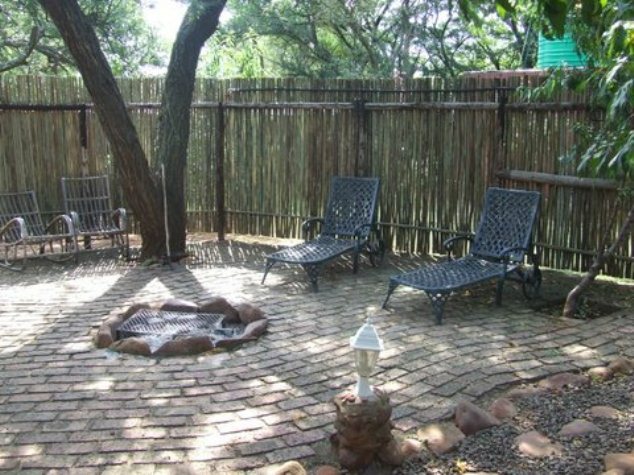 The farm features a secluded bush swimming pool overlooking the magnificent Magaliesburg Mountain and a picturesque picnic area in the bush with all amenities (a flushing toilet with a wash basin, as well as a sink to rinse dishes) for all guests to enjoy. Please note, the Bush Camp is in the bush and a vehicle with low profile tyres might not get there without having a tummy scratch. Any other vehicles are fine. Crates of firewood may be purchase on the farm. There is a resident Jack Russell and Staffie on the farm from time to time. On the day of departure you may stay on the property until early evening, if there is no booking for the following day. Pre-authorisation will be required. 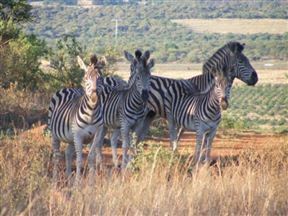 Easy day drives to Maropeng, Pilansburg, Sun City, Rhino and Lion Park, Sterkfontein Cave, Hartebeepoort Dam, Rustenburg. Magaliesburg is 28km from the farm. There are many quaint shops and restaurants in the area and a preditor park 10km away. Activities on the farm include walking, hiking and mountain biking in a safe environment with marked trails. You can bring your mountain bike but rather leave the motorcycles at home. 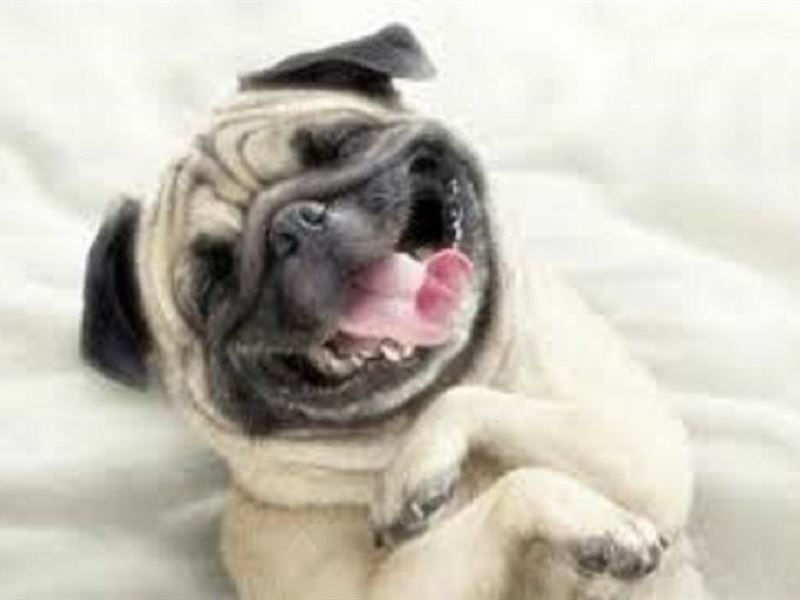 Our animals are used to people in close proximity and we would like to keep it that way. SUNFLOWER HUTS - Self-catering four-sleeper with 2 wooden cabins, one has a double bed and the other has two single beds. Kitchen/dining/lounge area is enclosed with canvas that can be rolled up to give an open air feeling. Shower and privy are outside but all under cover in the same area and for the sole use of Sunflower Huts guests. There is no TV reception but there is a DVD player. Bring some DVDs along if you need to watch telly 2 Carports and a braai area. LEOPARD BUSH CAMP - Self-catering four-sleeper with 2 wooden cabins (one with a Queen bed and the other has 2 single beds) set in the bush. It is set approximately one kilometer from the main dwellings. 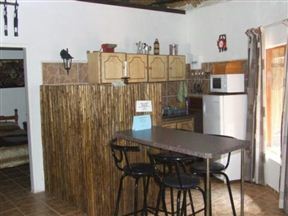 Gas geyser, solar lighting, gas fridge and stove and boma with fire pit (No Eskom power). Open sky shower and toilet facilities as well as outside kitchen. All are under cover for the weather but does not spoil the open air feeling. 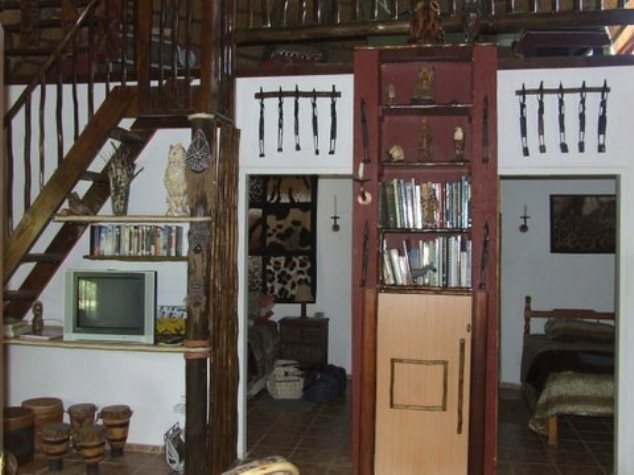 - Ideal accommodation for those who want to experience the thrill of a bush getaway. 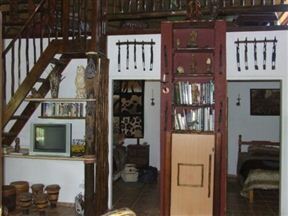 Very private and with a beautiful view of Magaliesburg Mountain Range. 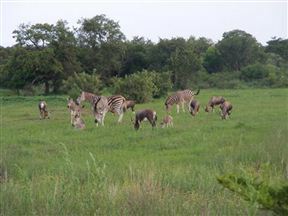 The camp is surrounded by natural bushveld where game may be seen regularly. There is also a rooftop tent for your adventurous teens to stay. Please note that you will not be able to access the camp with a vehicle fitted with low profile tyres. 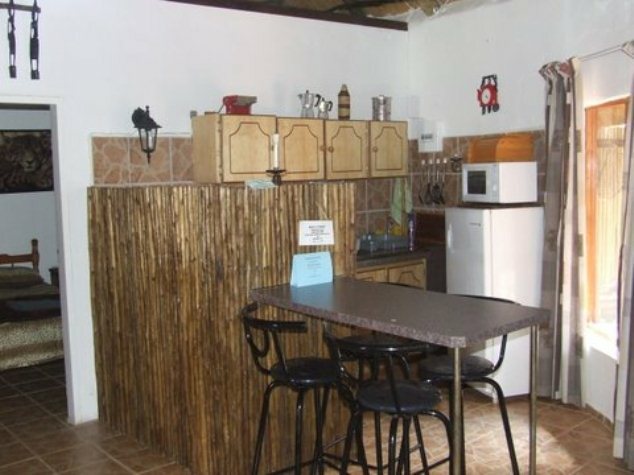 LOERIE COTTAGE - Self-catering luxury double story thatched cottage. It has two bedrooms, one with d\bed and one with 2 single beds. The loft has a double sleeper couch and two adult stretchers. Each bedroom has its own shower\toilet en-suite. Full DSTV. Carport and private Lapa\Braai area. The cottage area is fully fenced and your doggies have their own private, safe area.